Channel Rock is one of our favorite treasures that are not well known however with its unique flavor it has become one of our most popular. Enjoy Channel Rock with friends and family as a great main dish or add it to your everyday dish to give it that extra kick. Channel Rock is one of our favorite treasures that are not well known however with its unique flavor it has become one of our most popular. Channel Rock are caught by day boats which adds to the freshness since they are landed the same day they are caught. Our Channel Rock are then hand filleted and vacuumed packed to retain every drop of freshness until it is delivered to your door. Impress your friends with this out of the ordinary dish that will soon become your favorite. 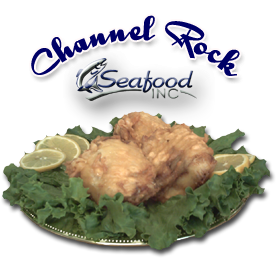 Channel Rock makes a great main course to serve family and friends at your next gathering. As a fresh channel rock supplier we ship fresh and frozen channel rock worldwide. Seafood Inc is dedicated to superior quality of its frozen and fresh channel rock.